In the San Jose, CA, area there are very few wedding venues that allow outside catering. Almost all of these venues you might want to use for your reception will require that you use their in-house caterer. For most couples that is a big disappointment. There is one incredibly beautiful venue that does allow you to pick your own caterer, however. Sometimes a wedding will have a special menu for religious reasons, health reasons or just because a certain type of food is part of the wedding theme. So, you’d think that all venues would allow the bride and groom to choose their own caterer. Sadly, most don’t. There is one wedding venue that does allow outside catering, however. Villa Ragusa is a beautiful venue that many couples use as their wedding reception location. Not only is the place a very beautiful former bank with airy balconies, marble and mahogany architectural accents and gorgeous tile floors, they allow you to choose any caterer you would like to have. If you don’t want to have the menu responsibility, then our in-house catering has several menus from which to choose. 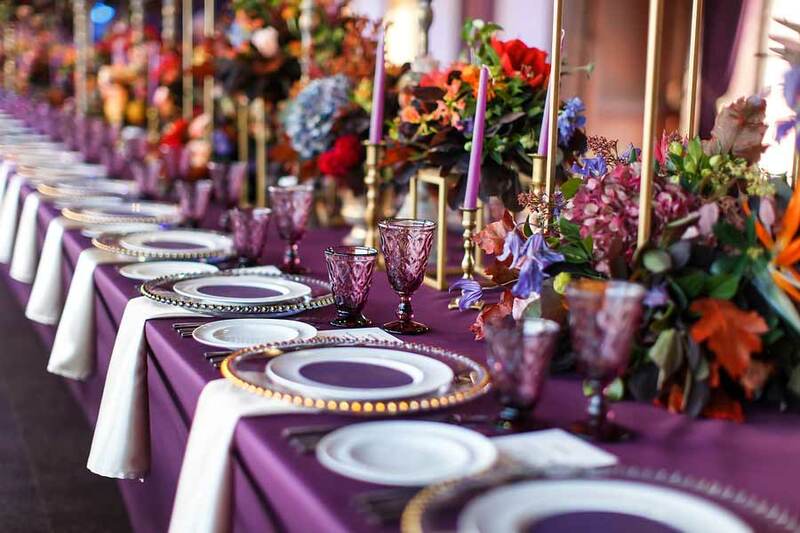 There are some outside caterer guidelines that need to be followed when using your own caterer, but they are all requirements you’d expect to have when it comes to serving food for guests. The caterer will be required to walk through our facility and speak to staff, so planning well in advance of your wedding is a must. The caterer needs to find out what equipment we have in our kitchen to make sure they have everything they need to serve your guests. If you’re planning your wedding now, contact us as soon as possible to find out which dates are available. We do get fully booked far in advance and we want to make sure you are able to reserve your ideal date.